There were 19 militant attacks. Over the past day, Russia-backed militants groups have waged 19 armed provocations against Ukrainian troops in the antiterrorist operation (ATO) area in Donbas. On four occasions, the ATO forces returned fire. There were no casualties among the Ukrainian military, ATO HQ said in a Tuesday report. In the Avdiyivka industrial zone, militants on three occasions fired on the positions of Ukrainian troops, using grenade launchers, heavy machine guns and small arms. At about 22:00 Kyiv time, the enemy fired four 82-mm mortar bombs against the Ukrainian strongholds. Ceasefire violations were registered near the Butivka mine, Mayorsk and Zaytseve, the ATO HQ said. In the Mariupol (maritime) sector, the enemy fired with heavy machine guns on the outskirts of Vodyane and Shyrokyne after dark. In the Luhansk sector, militants fired with heavy machine guns and small arms near Stanytsya Luhanska. On 22 August, the leaders of the Normandy Four – French President Emmanuel Macron, German Chancellor Angela Merkel, Russian President Volodymyr Putin and Ukrainian President Petro Poroshenko agreed on a "school" ceasefire in Donbas, beginning with 25 August. The next day, the trilateral contact group for a Donbas settlement agreed on a ceasefire in Donbas. The truce is timed to the beginning of a new school year. On 25 August, the first day of a new truce, three Ukrainian soldiers were wounded. On 26, 27 and 28 August, the Ukrainian antiterrorist operation (ATO) HQ reported no losses. 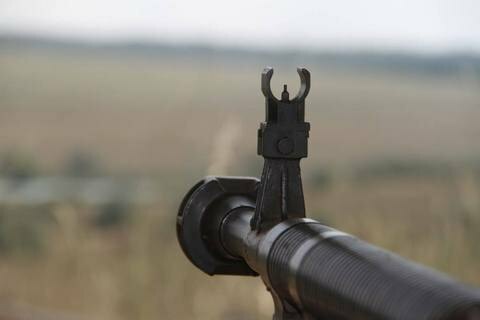 In a report on 28 August, it said that the ATO troops on four occasions opened return fire, "given the direct threat to the life of Ukrainian military". PM on autogas price hike: "this is sabotage"